Does light reach the bottom of the deepest point of the water body? Does the water body only get small waves (i.e., smaller than 1ft/30cm in height)? Is the water body relatively uniform in temperature? 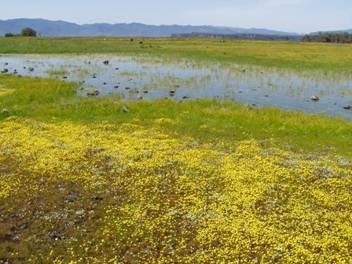 Although vernal pools dry up regularly, they are important sites for breeding and feeding for many organisms (Image from 4). Lakes and ponds are standing bodies of water while rivers and streams are distinguished by a fast-moving current. While there appear to be clear distinctions, the differences become subtle in regions where rivers widen and current slows such that the river could be considered a lake or a pond. Additionally, rivers may occasionally form lakes such as oxbow lakes when portions of a river become geologically separated from the main flow path over time. Reservoirs, also called impoundments, are man-made lakes. Often, reservoirs can be thought of as a combination of lakes and rivers because they were created by building a dam and flooding a river valley. This damming and flooding creates an artificial lake, filled by the river inflow, with the same qualities of rivers and lakes. The upstream section of the reservoir has predominantly river-like qualities, meaning there is often still some current, and the organisms in this section are usually those found in rivers. As the water moves closer to the dam, the current slows, and the reservoir becomes more lake-like. At this point, many of the sediments and materials carried by the river settle to the bottom of the reservoir. Many of the organisms inhabiting this region of the reservoir are those more typically found in lakes. However, some reservoirs maintain river-like qualities throughout. The degree to which riverine properties dominate the reservoirs is often a function of the size of the impounded river and the amount of time water spends in the reservoir (termed residence time). Reservoirs with a short residence time are more river-like while reservoirs with a long residence time are more like natural lakes. People are most familiar with freshwater lakes. Chances are the lake closest to you is a freshwater lake. But some lakes are extremely salty. These are called saline lakes. Although freshwater lakes often have minor amounts of dissolved salts in them (less than 1-3 g/L), saline lakes have more than this (between 3 and 300g/L). 7 Saline lakes are often found in arid environments where water only leaves lakes through evaporation or seepage into the ground. This evaporation concentrates salts and other chemicals in the water over time. Endorheic lakes are found throughout the globe; major basins are shown in grey above and the largest endorheic lakes are shown in black. (Image from 10). Although many freshwater lakes and rivers drain into the ocean, saline lakes are formed when they are the endpoint to river flow. These lakes are known as endorheic (which means terminal), and are sometimes referred to as inland seas.8 Endorheic lakes usually form because they are at the lowest point in the landscape and are found in basins throughout the world. Well-known endorheic lakes include the Dead Sea (Israel/Jordan), the Great Salt Lake (Utah), Mono Lake (California) and the Caspian Sea (Eurasia). 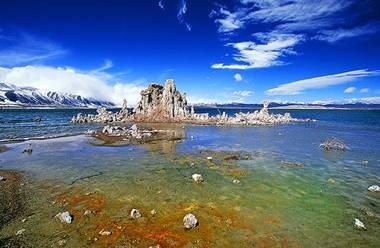 Mono Lake, an endorheic lake in California, is extremely salty because water only leaves the lake through evaporation or seepage. Evaporation concentrates salts, and other chemicals such as arsenic, in the lake over time. 1. Bronmark C. and H. Lars-Anders. 2004. Biology of Lakes and Ponds. Second ed. New York. 3. Oerthi et al. 2005 Conservation and monitoring of pond diversity: Introduction. 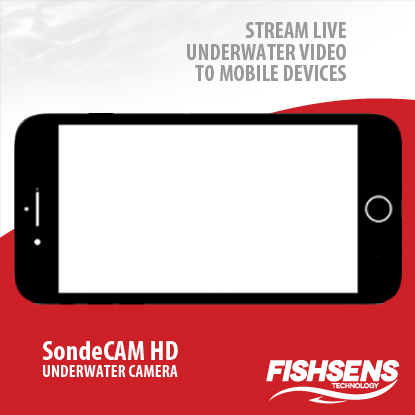 Aquatic Conservation: Marine and freshwater ecosystems.